Improves the appearance of wrinkles, firmness on your face and dark circles, puffiness, crow’s feet and wrinkles under your eyes. The kit has a $290 value! 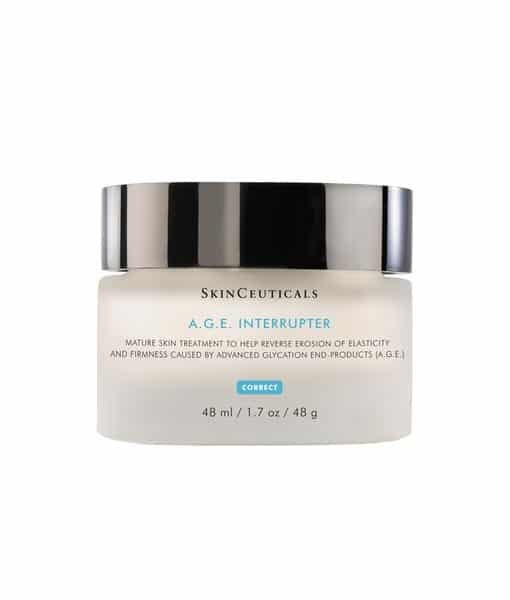 SkinCeuticals Firm Kit Fights Glycation on Your Face and Under Eyes! 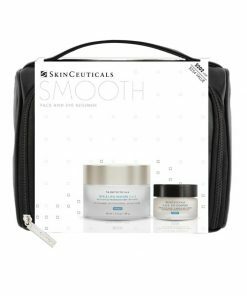 The SkinCeuticals Firm Kit is available for a limited time only and contains the full size of the A.G.E. Interrupter Face Cream, the A.G.E. 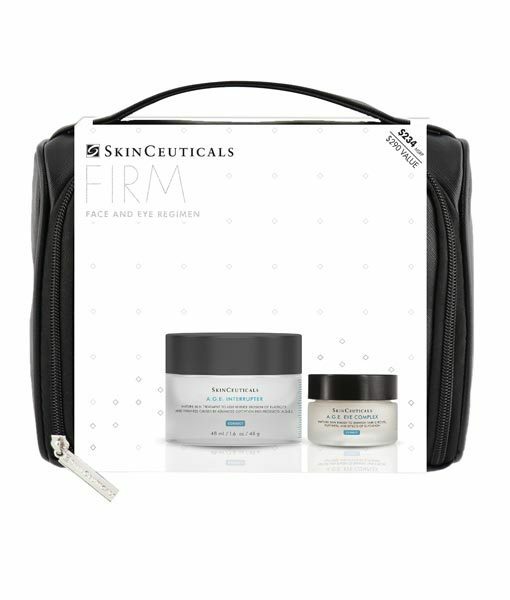 Eye Complex and a SkinCeuticals cosmetic travel bag. 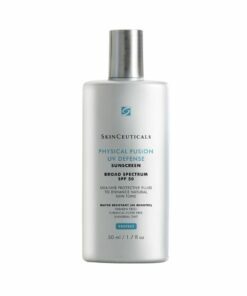 These products were specifically formulated to work together to fight glycation and to address the effects of aging on the skin. A.G.E. 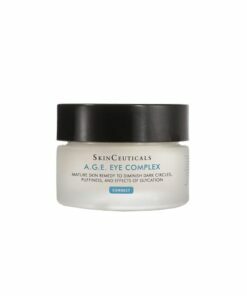 Eye Complex is an anti-wrinkle eye cream specifically formulated to help prevent and correct visible signs of glycation around the eyes. 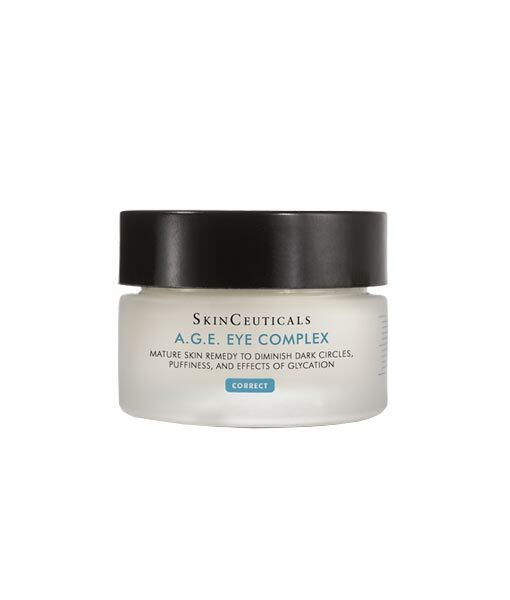 It is an ideal eye cream for dark circles! 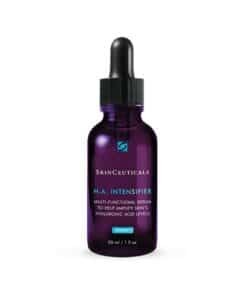 It also contains optical diffusers that instantly improve the radiance of tired, dull eyes. Say goodbye to glycation, and improve the look and texture of your aging skin with the SkinCeuticals Firm Kit! Glycation, a major factor of intrinsic aging, occurs when excess sugar molecules bind to collagen and elastin fibers and prompt the formation of advanced glycation End-products (A.G.E.) that may lead to the appearance of aging. As a result, glycated collagen and elastin fibers lose the ability to function normally, and the body cannot break them down and replace them, leading to severe wrinkling of the skin. 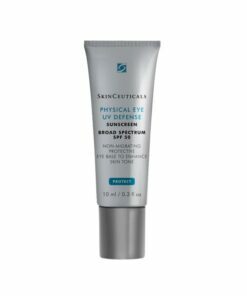 If using in the morning, apply after antioxidant such as the SkinCeuticals AOX+ Eye Gel and follow with a sunscreen.